Green walls and rooftop gardens are great, but keeping them healthy in the Middle East and North Africa can be challenging. Green Studios, whose work in Lebanon we’ve featured once before, has an answer with their patented technology that ensures plants can flourish despite the extraordinary heat in our region. “We wanted to develop something that is applicable to super-hot [climates],” says Jamil Corbani, cofounder and CEO of Green Studios.” And in order to do this, they beefed up standard hydroponic growing techniques (that require no soil, and just a mineral nutrient solution to feed the greens) with smart technology that monitors plant health. 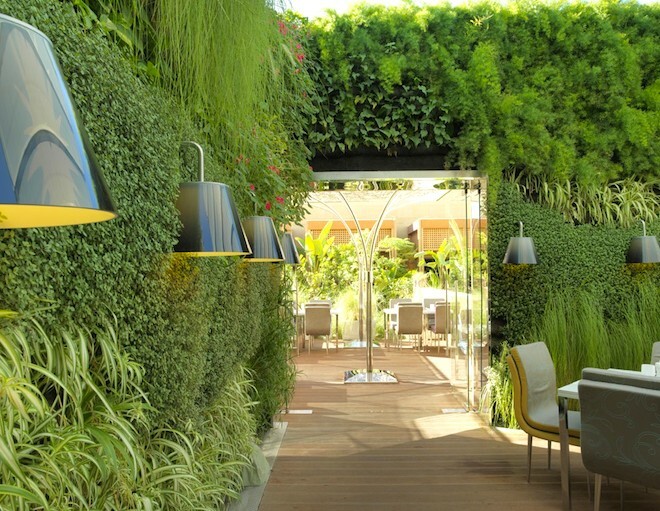 Their green walls are comprised of several layers of ‘skin’, the core of which comprises the irrigation network. Each skin has its own function, that – equipped with a series of sensors and nano-sensors – monitor and respond to the surrounding environment. Data collected by the sensors will be sent to an electrical board, and if the temperature and humidity skyrocket and the plants need some love, that board will signal pumps to go off. The custom-built sensors monitor humidity, temperature, acidity, and electro conductivity of plants. Founded by a small group, which consists of an architect, a landscape architect, landscape engineer and an economist, Green Studios now has 13 employees and have been commissioned to do no fewer than 30 patent-protected installations – in the Middle East and elsewhere. According to Executive Magazine, the group is gearing up to install the largest green wall in the region – for Raouche 1090 – a massive residential development in Beirut. So why do we care about green walls? For a lot of reasons. 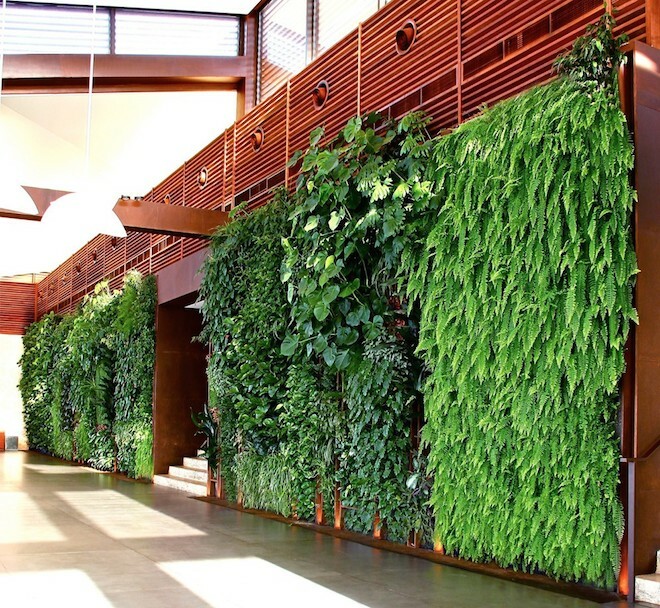 Decorative green walls can help improve air quality by absorbing carbon dioxide emissions and then expel oxygen that humans require to breathe. They also provide a heat sink, which is particularly important in the Middle East where ambient temperatures are really high. But if Green Studios decides to start implementing food crops in their green walls, then we’re really talking business – since productive vertical gardens in urban environments could help to offset growing food insecurity. 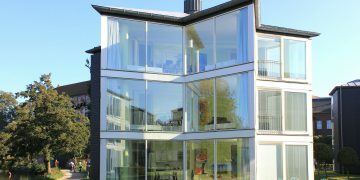 The company is heading to the United States later this year in order to expand their horizons. “We are going to look at other players, what are they doing, get a feel of the market, and exhibit as well, who we are, what do we do, what is our philosophy, what is our product, and our patent,” Corbani told the magazine. Hopefully they won’t stray too far from the Middle East. We need them here!